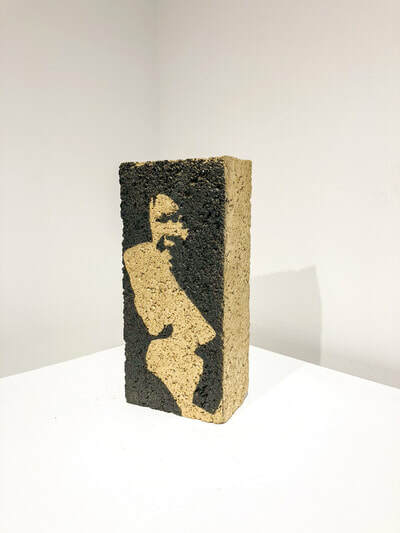 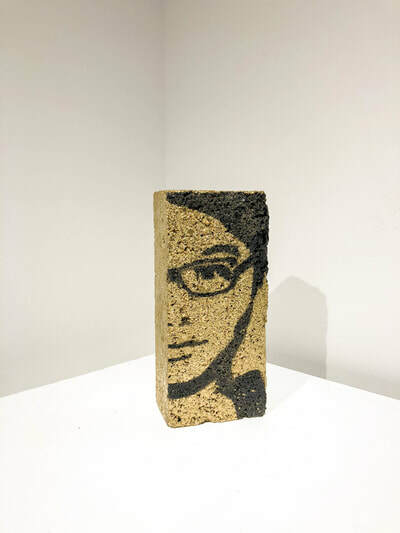 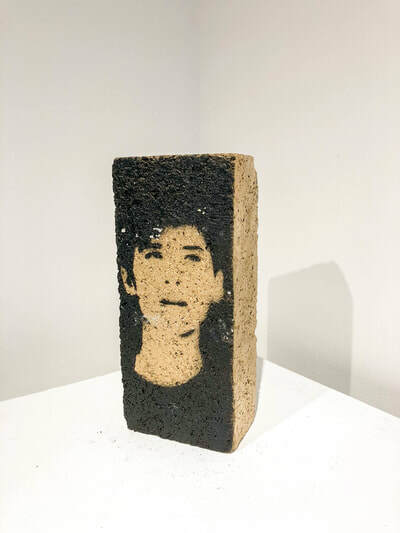 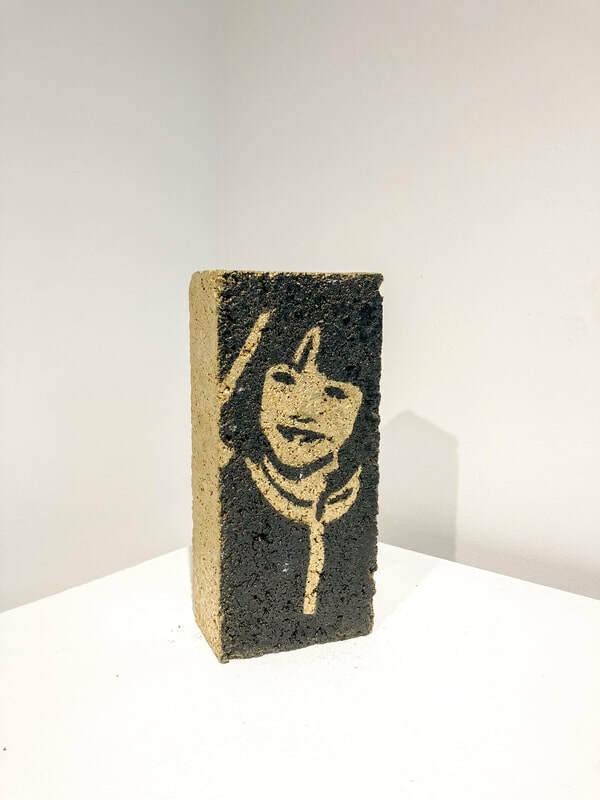 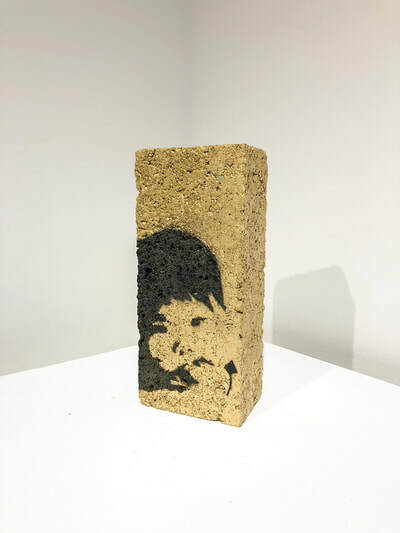 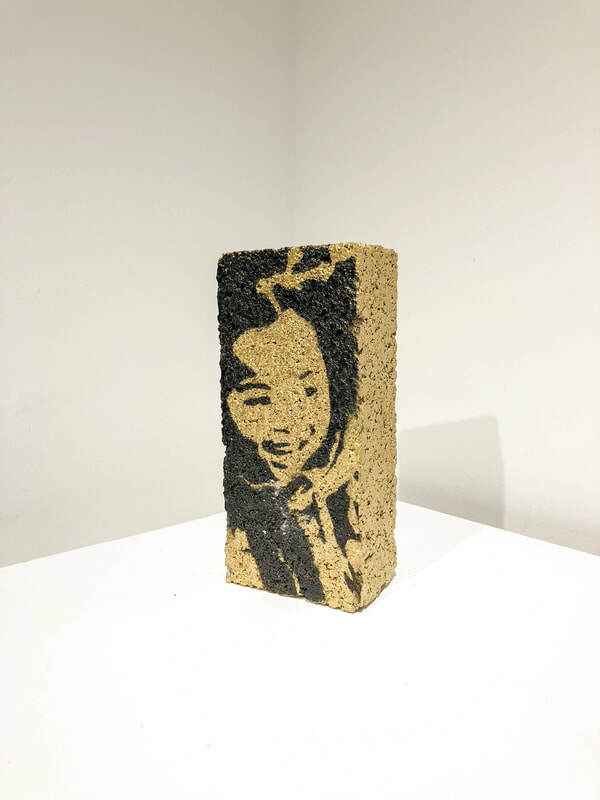 The Urban People series is a specific work about Hong Kong, where construction and demolition sites are permanent. 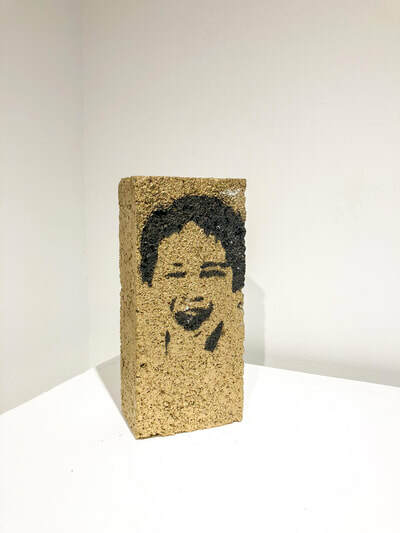 Gaud has chosen the brick as a medium to talk about it. 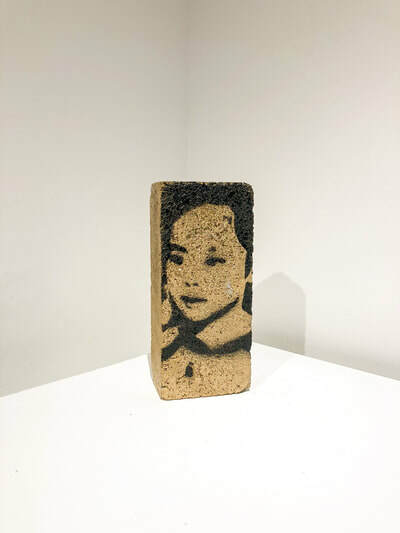 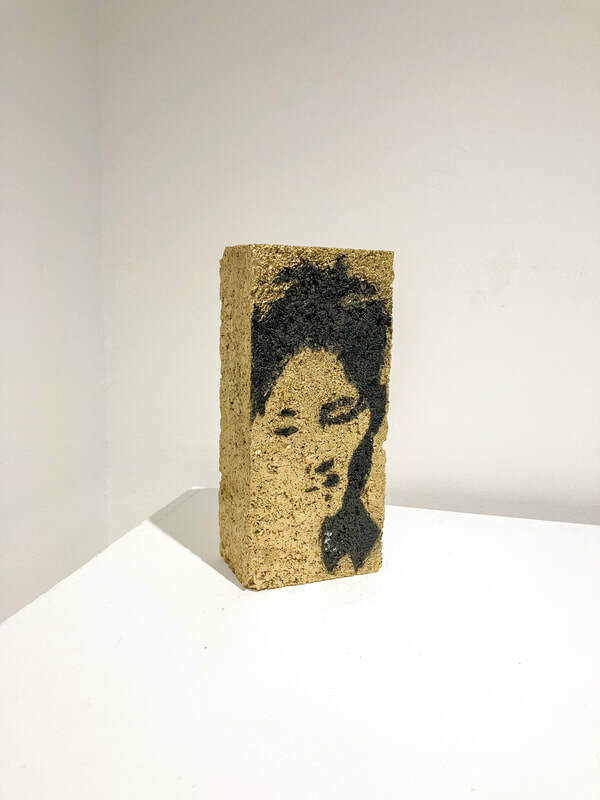 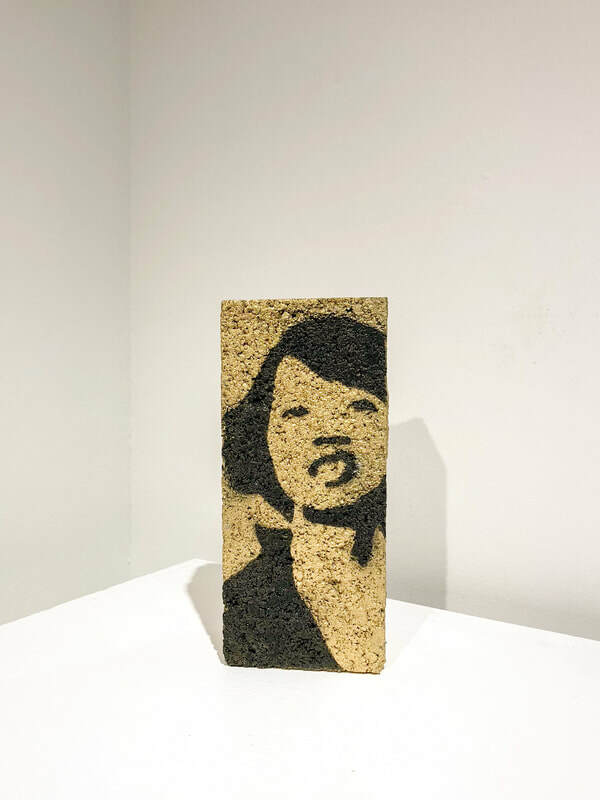 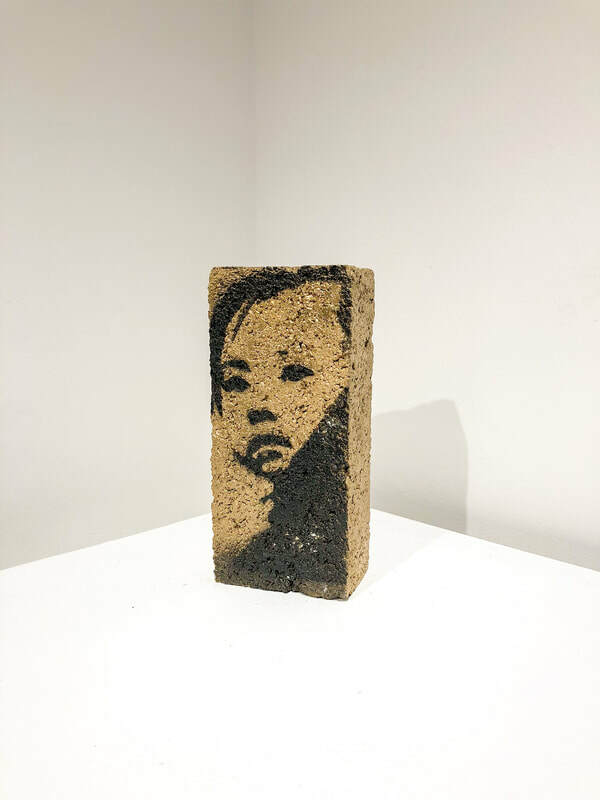 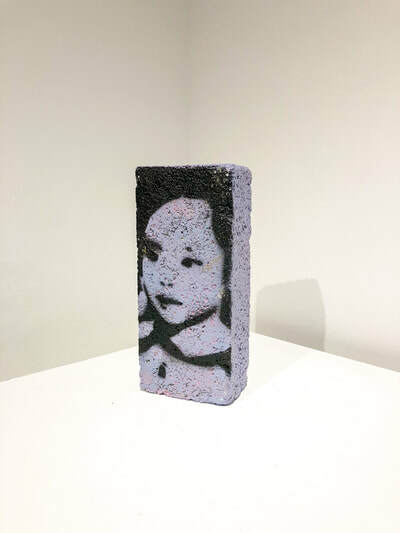 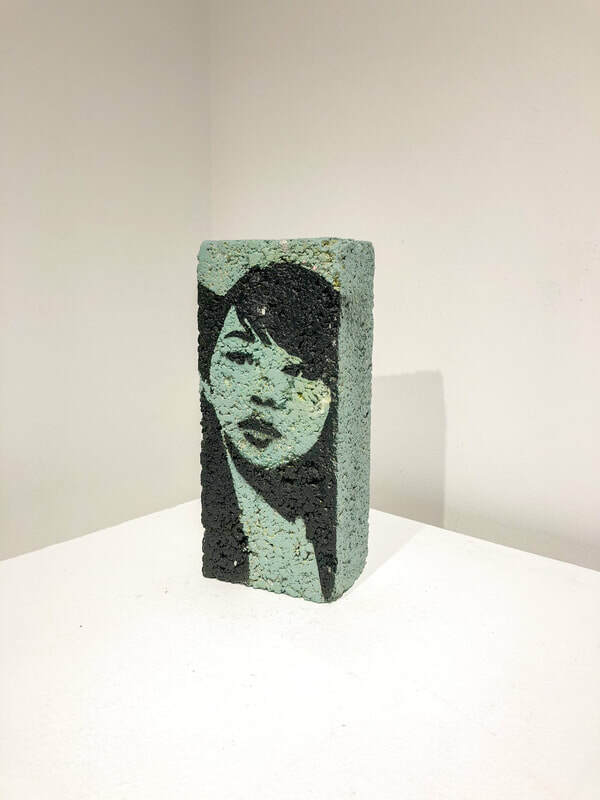 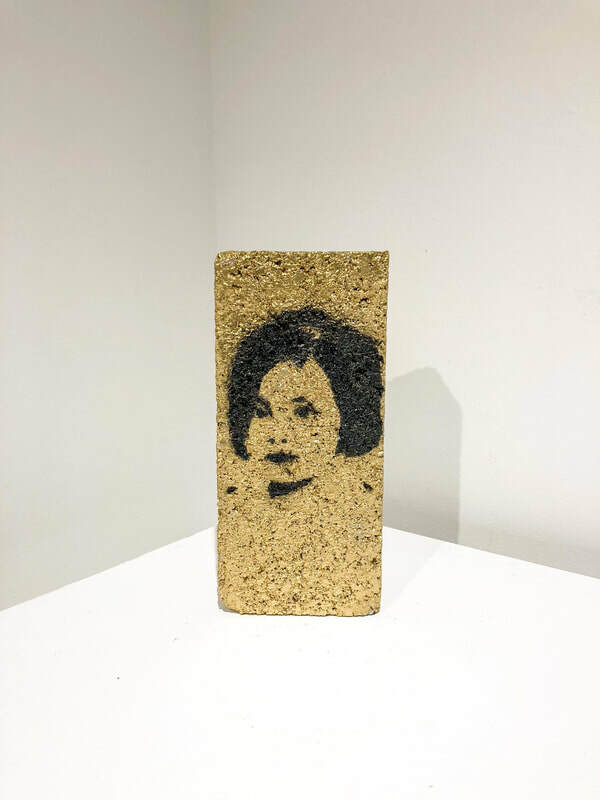 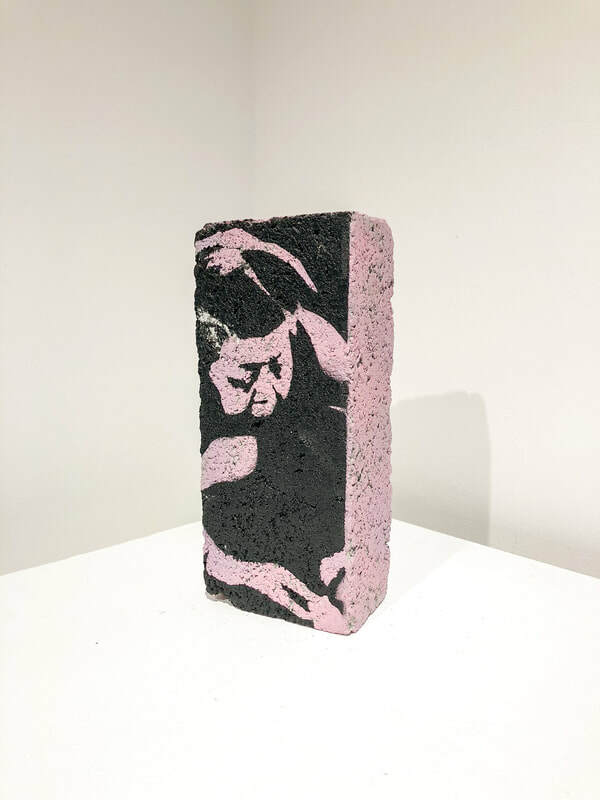 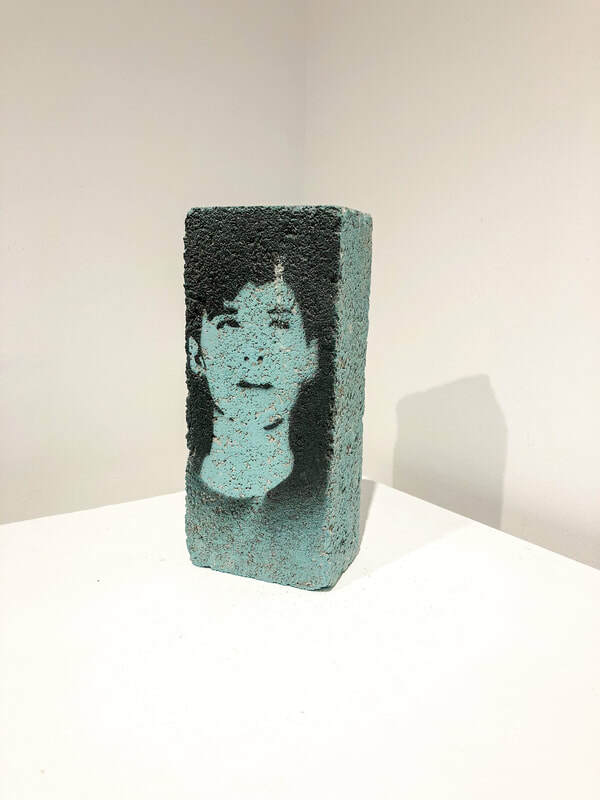 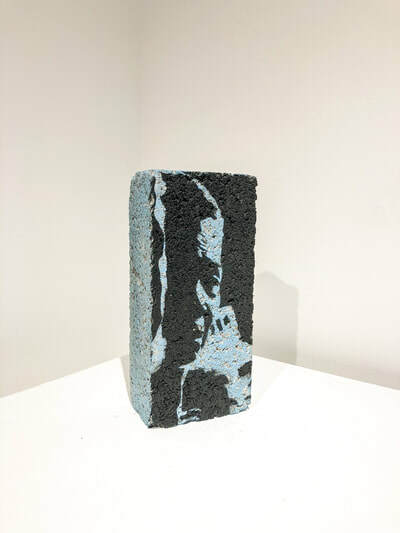 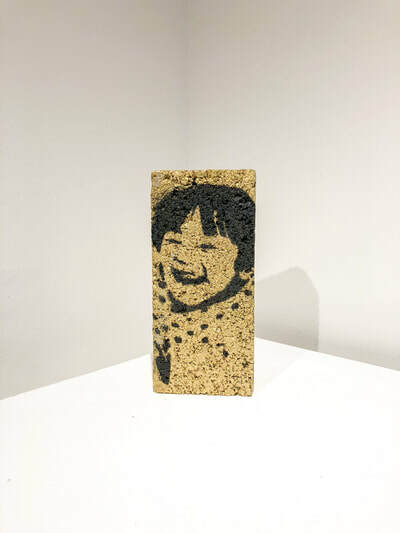 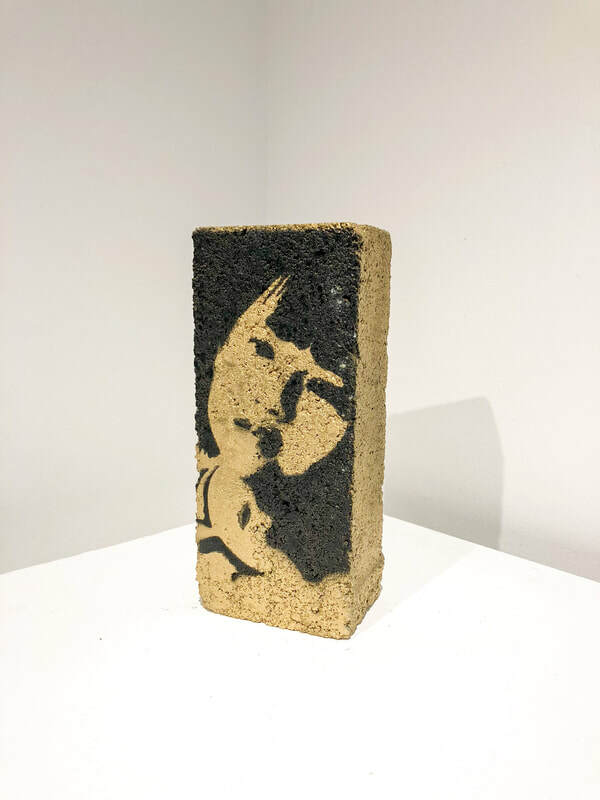 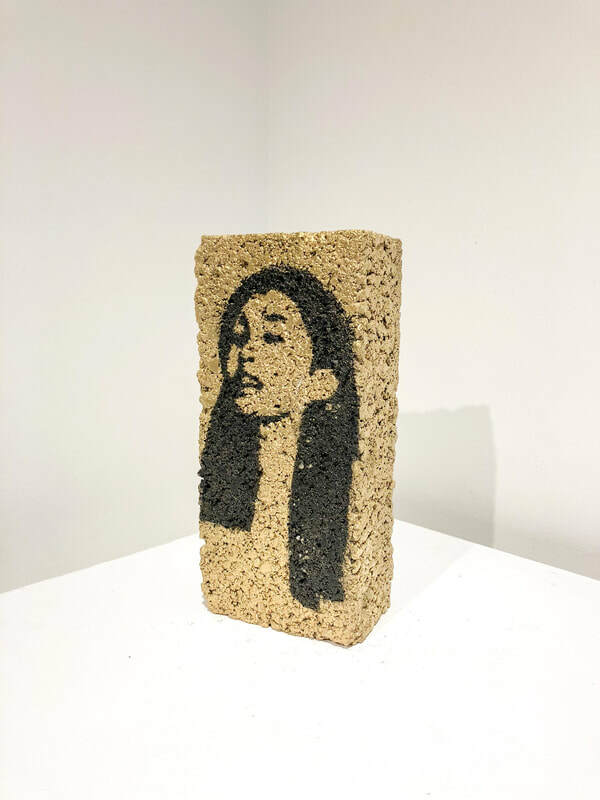 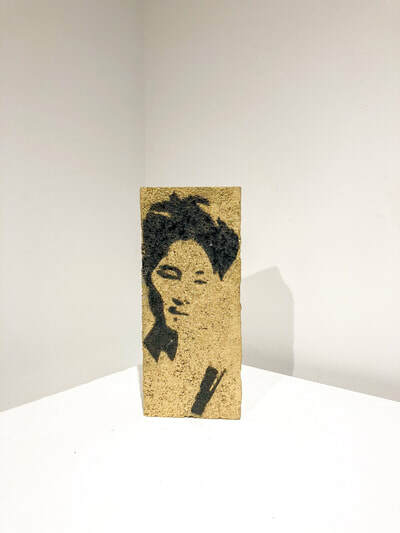 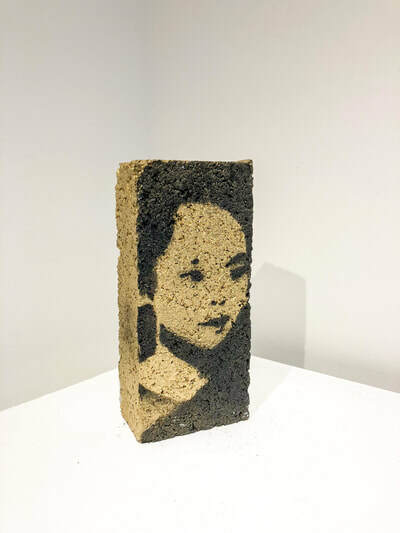 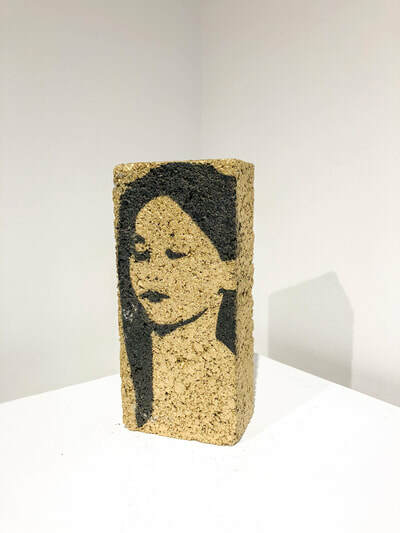 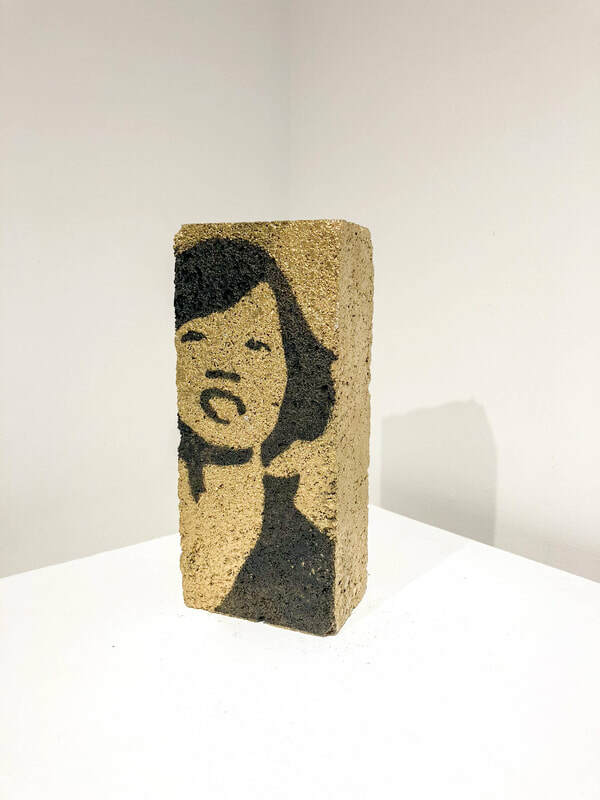 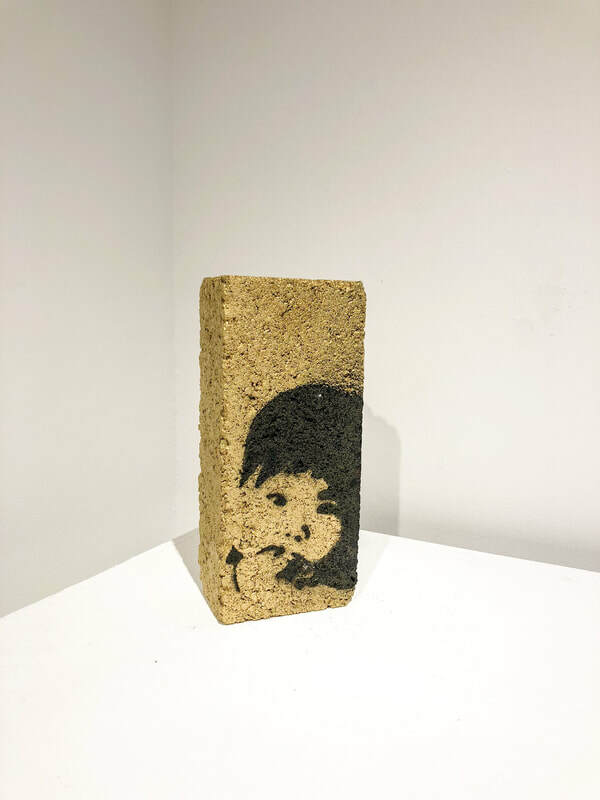 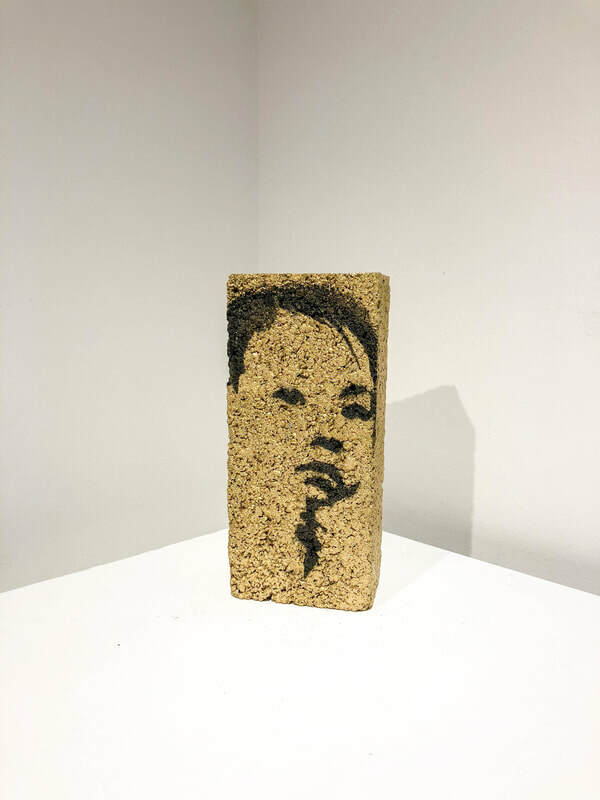 For this series, she imports and revisits the stencil technique, one of the street art techniques famous in the 80's in Paris to adapt it to her work about the city of Hong Kong. The gold coat reminds that Hong Kong, in some ways, can also be a varnish. And when the surface is scratched a little, things are not always so covered in glory. 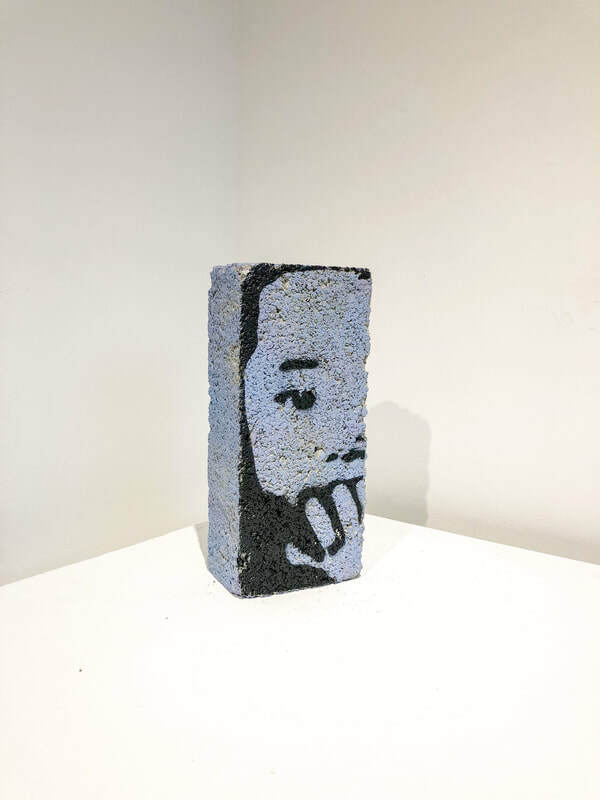 The pastel bricks reminds of the governmental social estate buildings. Faces are Hong Kongers: fishermen, builders, gardeners, wetmarket sellers, children, people who also make Hong Kong, even though the city is in a constant evolution.